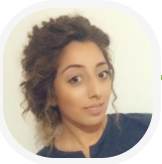 Home / News / Meet Fariyal our new hygienist! We would like to give a huge welcome to Fariyal our new hygienist, who has joined the Clover House team taking over from Fran on Friday’s. Fariyal Graduated from the University of Leeds in 2016. Since then she acquired a range of experience in dental therapy working with head and neck cancer patients and special care dentistry. She now treats patients in independent and community dental settings. Fariyal is passionate about helping others. She volunteered with the homeless shelter over Christmas and also swam 5km raising money for Mouth Cancer Foundation. She regularly volunteers with local schools to promote oral hygiene; and will soon be branching out volunteering with her local health visiting team again to promote oral hygiene. Her passion for dentistry reflects as she was one of four dental professionals in the UK to win the Philips ‘Shine On’ competition last year. They won a trip to San Francisco to visit the Californian Dental Association Conference. Fariyal has really settled into the practice already and is looking forward to meeting you.